At Goulburn Valley Grammar School our focus is on student learning, achievement and wellbeing. The culture is one where students feel comfortable to be themselves, where they feel safe and secure, valued and appreciated. It is a culture where there is a focus on, and love of, learning and where there is recognition that maximizing individual achievement is only possible through sustained effort in an environment where risk and error are seen as learning opportunities rather than failure. This positive culture has a number of important elements at its foundations. Our Values are the key principles on which we base our approach to learning, relationships and broader life. 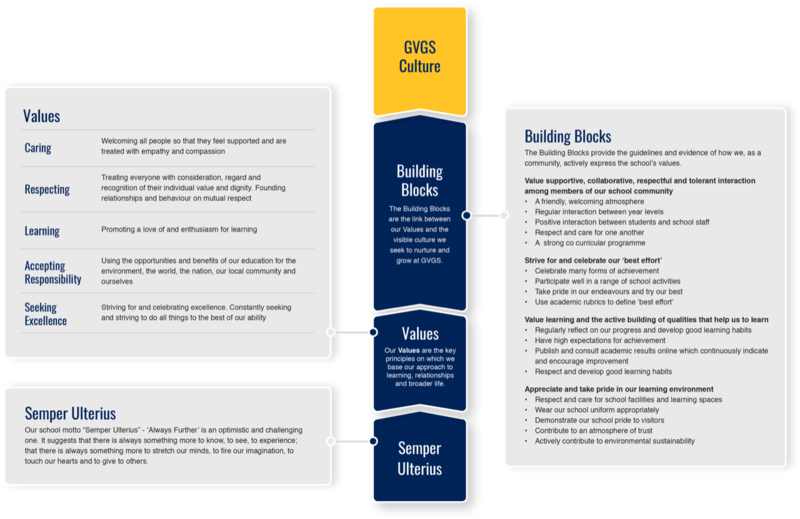 The Building Blocks are the link between our Values and the visible culture we seek to nurture and grow at GVGS. They provide the guidelines and evidence of how we, as a community, actively express the school’s values. Our school motto “Semper Ulterius” – ‘Always Further’ is an optimistic and challenging one. It suggests that there is always something more to know, to see, to experience; that there is always something more to stretch our minds, to fire our imagination, to touch our hearts and to give to others. 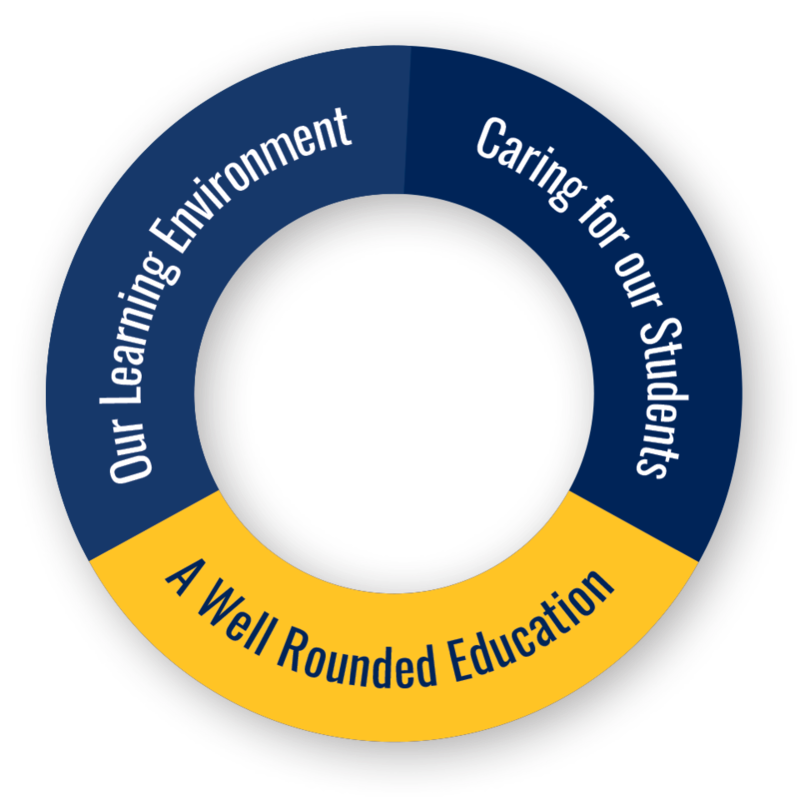 Our educational philosophy is influenced by the independent school tradition and features 3 key domains. We contend that the interrelationship and synergy between each of these domains is crucial to a meaningful, positive and life-worthy education.